The April Center for Anxiety Attack Management - Los Angeles staff, led by Dr. Craig April, Ph.D. (often known as the panic attack doctor), offers special help for those suffering with a fear of driving or driving anxiety. Because it is one of the most commonly treated phobias here at The April Center, we offer a variety of treatment options (including phone sessions) to teach you how to overcome fear of driving, as quickly as possible. You CAN Go From This . . . 1.) You often avoid driving outside of your comfort zone, which could be limited to an area around your neighborhood, a certain amount of mileage, specific roads, or simply driving on side streets while avoiding the freeway or highway altogether. 2.) Your fear of driving seems to involve more than just the act of driving and can include a fear of losing control, a fear of passing out, fear of being trapped on a road, freeway or highway with no quick escape, fear of hitting other cars or pedestrians, fear of driving to new or unknown places, fear of driving over bridges, through mountains and more. 3.) When you are driving or anticipating driving, you often experience a great degree of anxiety, which can include physical symptoms such as, dizziness, rapid heartbeat, breathing struggles, shaking and trembling, sweating, nausea, tingling of the hands, and many more. 4.) You often create excuses in order to avoid specific situations where you would be forced to drive. 5.) You have (or fear having) panic attacks and anxiety attacks while driving, which may involve many of the above physical symptoms and the feeling that you may lose control of yourself, the car and sometimes reality. 6.) You fear that when driving you may cause an accident that brings harm to you and others. 7.) You experience anticipatory anxiety and are scared days or weeks before a scheduled time where you know you'll be expected to drive. 8.) You often depend on others to drive you where you need to go, with a reduced ability to take care of your life on your own terms. 9.) Your ability to truly live free and roam has decreased due to the lack of freedom that your driving fear and anxiety have created. Learn how to stop fear of driving now and get your life back! 1.) Individual therapy is offered in our Los Angeles therapy office location. This location serves Los Angeles, West Hollywood, West LA, Santa Monica, Beverly Hills, Sherman Oaks, Studio City, Woodland Hills and the rest of the San Fernando Vally, plus The South Bay. Or another powerful option is . . . 2.) Driving anxiety treatment by phone. Phone therapy sessions are for those unable to visit the office due to their struggle with driving or far location. 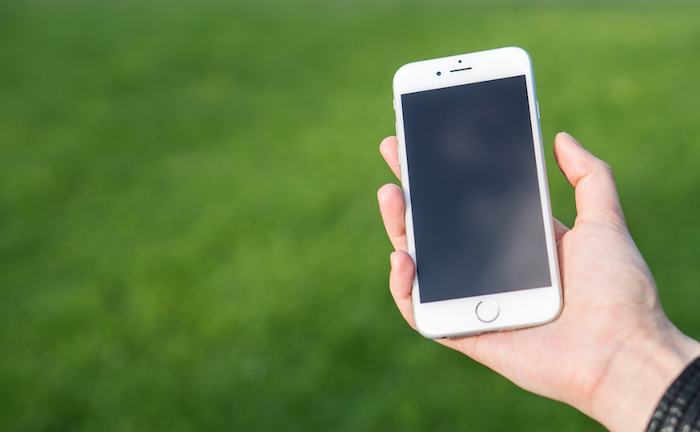 We offer phone sessions for people throughout California (including San Francisco, San Diego, Temecula, Oceanside, Santa Barbara, Orange County, Riverside County, Fresno, Marin, San Bernardino, Monterey, San Luis Obispo, Santa Clara, Ventura). And because we're very aware of the lack of driving anxiety treatment specialists throughout the U.S., . 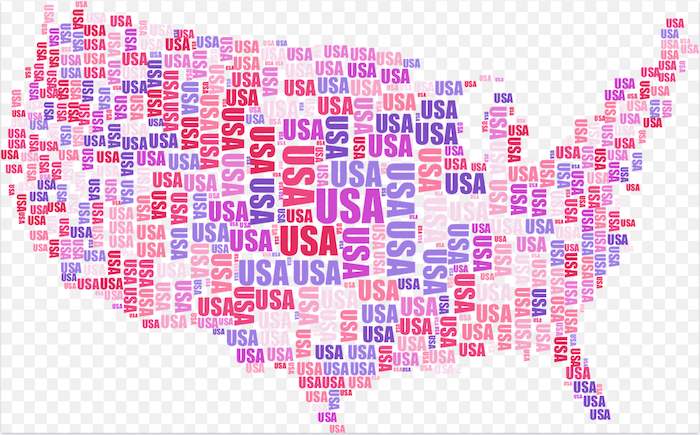 . .
We also offer phone sessions to people all over the country (including Atlanta, Dallas, Denver, Austin, Phoenix, Houston, Chicago, New York, Seattle, New Jersey, Boston, Philidelphia, Pittsburgh, Washington DC, Providence RI, and more). This has proven to be a very successful method in treating fear of driving (also known as vehophobia). And because there is a lack of driving phobia experts outside the U.S., we even offer phone sessions to people struggling in London, Australia, Canada (Toronto, Alberta, Calgary, Vancouver) and more. The April Center For Anxiety Attack Management is committed to helping you remove the destructive barriers of fear of driving and driving anxiety, so that you may lead a calmer, healthier, happier life. Driving Anxiety Advice: Seek an expert! I recently reviewed multiple sites and articles online written by former driving anxiety sufferers with no degree, license or training in the field. Many even have their own programs and websites offering their unskilled help to those with driving anxiety. After reading these articles and exploring many of these programs, I have come to the conclusion that it is often like “the blind leading the blind”! These articles written by laypeople with a past fear of driving are filled with the wrong information and incorrect advice on how to beat driving anxiety. WHY WOULD ANYONE GO TO A NON-EXPERT? Why seek help from someone who has no experience in treating anxiety and no training? Is it simply because those with a driving phobia are looking for anyone who might understand what it’s like to fear driving? Perhaps. However, that is the wrong path. I can tell you that we’ve professionally treated hundreds and hundreds of driving anxiety cases at The April Center. We’ve successfully treated them with scientifically proven strategies and, therefore, we absolutely understand what it’s like for those with this fear. And, more importantly, our trained specialists know exactly how to help you overcome it, so you can drive comfortably and freely, without fear. Don’t waste your time on programs that are offered by non-specialists and non-experts! Over the many years we’ve been treating this fear, people have come to The April Center and shared their lack of progress after much time and money spent on work with nonexperts, nonspecialists and even therapists who don’t truly specialize in anxiety disorders. To overcome your driving phobia, you simply must seek an anxiety doctor who consistently treats fear of driving. A trained professional and specialist in the area of anxiety disorders. Remember, when you have a specific medical problem that requires treatment and a trained skill set, you go to a specialist for that issue. There is a reason your family doctor refers you to a cardiologist, a surgeon, a gastroenterologist, a dermatologist, an ear, nose and throat specialist and so on. Here are just a few examples of bad tips and the wrong advice I read online about overcoming driving anxiety written by laypersons (and even therapists) who clearly aren’t experts or trained specialists in the field of anxiety disorders. This is not recommended. Because eventually you’re going to have to drive alone anyway. So, you’re just prolonging your fear and creating a dependence on another person when you’re driving. This is not working towards your driving freedom. This is like only riding a bike with training wheels or only wearing water wings in the pool without ever taking them off and swimming freely. This will not help your fear of driving. At The April Center we have tools and strategies designed to help you learn to drive on your own. We do this gradually and do not throw you in the proverbial deep end (that's called flooding therapy). Our work is done at the pace you desire. Driving under the speed limit is not a helpful ongoing strategy. If it’s homework designed to start slow and build, so that you’re eventually facing the speed limit you fear, it could have benefit. However, to overcome fear of driving one must, at least, drive the speed limit on the highway and freeway. There are tools and strategies that can help the driving anxiety sufferer achieve this. Again, the proper help is what is required. Again, this is not a helpful strategy in and of itself. Why? Because it is avoidant. Any behavior that is designed to help you avoid facing your driving anxiety is going to backfire and, at the very least, maintain and reinforce your fear of driving. It could, however, be a beginning strategy as you work your way over to the left lane on a gradual basis with the tools and strategies that you’re being taught by a specialist, such as here at The April Center. Please refer to the response in number 3 above. Same issue. This is avoidant. Could be a beginning strategy, but is not going to help you overcome your driving phobia. Medication for a driving phobia or fear of driving is not going to work. At least not for helping you overcome your specific driving anxiety. That said, if anxiety is so extreme that it prevents one from engaging fully in CBT treatment, some medications (like certain antidepressants), may reduce one's anxiety intensity to a degree that allows them to approach the therapy more easily (though not necessary). However, there is no specific driving anxiety medication. Unfortunately, many psychiatrists and family doctors often prescribe medication that is addictive (the benzodiazapenes or "benzos", such as Xanax, Ativan, Klonopin or Valium) and only worsen the problem, while creating a dependence and possibly more. At best, these meds only provide a sedating or tranquilizing effect that masks the problem and does not treat it. No medication can help one overcome fear. The best way to overcome fear is to face it with the proper tools and strategies taught by an anxiety treatment specialist. *By the way, for those seeking medication for any psychological issues, only a psychiatrist is trained to conduct a medication evaluation and should be consulted. Once again, you need a psychologist with an expertise and exclusive specialty in CBT for treating anxiety disorders. An anxiety treatment specialist who understands all the nuances of anxiety and has vast experience and education treating this issue. A driving instructor does not have this specialized knowledge. Therefore, you’re most likely wasting your time and prolonging your driving phobia by taking driving classes - again. Yes, you are scared to drive. You may even fear you've forgotten how to drive on the freeway. But just because you've lost confidence driving does not mean you don't know how to drive. It's just like riding a bike. One never forgets because it's committed to muscle memory. So, rather than focusing on how to drive (which you already know) your focus needs to be on how to get over fear of driving! This is a mistake and will not help. Again, this is truly avoidant. Please refer to responses in number three and number four above. Hypnosis is useful for a number of other issues. Unfortunately, despite some hypnotherapist’s advertising, it is not helpful for treating anxiety disorders. Quite frankly, if hypnotherapy was proven to work for treating anxiety disorders, The April Center For Anxiety staff would have sought training in it. Unfortunately, although hypnosis has been shown to help with self-esteem, smoking cessation, weight loss and some other issues, it simply doesn’t help people overcome fear of driving or anxiety disorders like phobias, OCD and panic attacks. You can talk about your fear of driving until you're blue in the face. It's not going to make a difference! At least, not in reducing and removing your driving anxiety. CBT is the only proven treatment for panic attacks and phobias (and all anxiety disorders). Yet, there are many therapists out there that still believe talking about your anxiety and exploring old, unresolved feelings and family conflicts can somehow resolve it. It can't and won't. Just like talking it through, this won't work either. 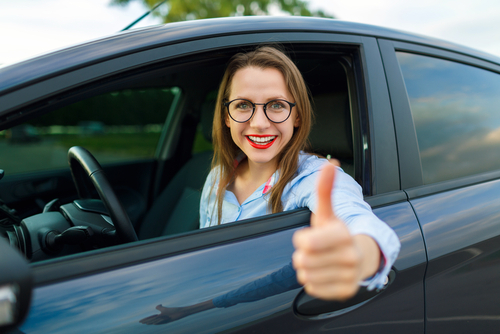 You can repeat all the positive affirmations about fear of driving you want, such as "I'm a good driver", "Driving is easy and fun", "Everybody drives and so can I", "I'm at peace with the road and calm on the highway", "I'm a beginner driver, but already an expert" and so on. Still, your anxiety when you get in the car or drive the highway is going to override this positive self talk every time! In fact, you've probably already had the experience that no matter what you tell yourself, your anxiety overwhelms you and wins. This is because your brain knows what you really believe. And affirmations are usually statements you don't believe, so your anxiety-based beliefs will argue and rule. This is also why one aspect of CBT encourages real cognitive change by modifying false beliefs towards a reality-based perspective. Although anxiety feels personal and sometimes even downright shameful, your symptoms have to do with a brain system issue regarding anxiety created and reinforced by neural pathways that need shifting and changing. See below for more on this. *Driving anxiety does not go away on its own and the more you avoid driving, the more long-lasting and severe your fear can become. 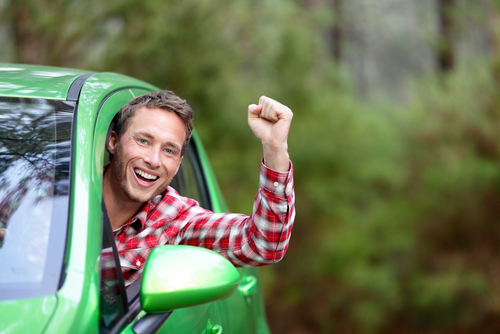 Fear of driving is treatable with cbt therapy at The April Center! If you fear driving, trust that it can be overcome with the proper help and treatment . . . 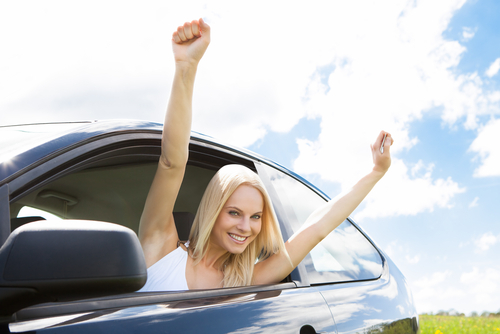 Learn how to cure driving anxiety now and break free! Fear of driving on the freeway or highway (or motorway as they call it in Britain!) can be created by a variety of experiences. Some suffer freeway driving phobia after being in a car accident. Meanwhile, others develop it after just observing a car accident. And still some others develop driving fear on the highway without experiencing or witnessing any accident at all. Sometimes the emotional cause of anxiety while driving on the highway remains a mystery. However, the psychological and neurological causes begin with seeds . . . The seeds of anxiety and the possible upcoming development of a phobia can occur when one feels discomfort and a loss of control. One waters the seeds when he or she begins to avoid that which creates this particular discomfort and feeling of being out of control. This then, unintentionally, sets the stage for panic, phobia, and anxiety disorder. 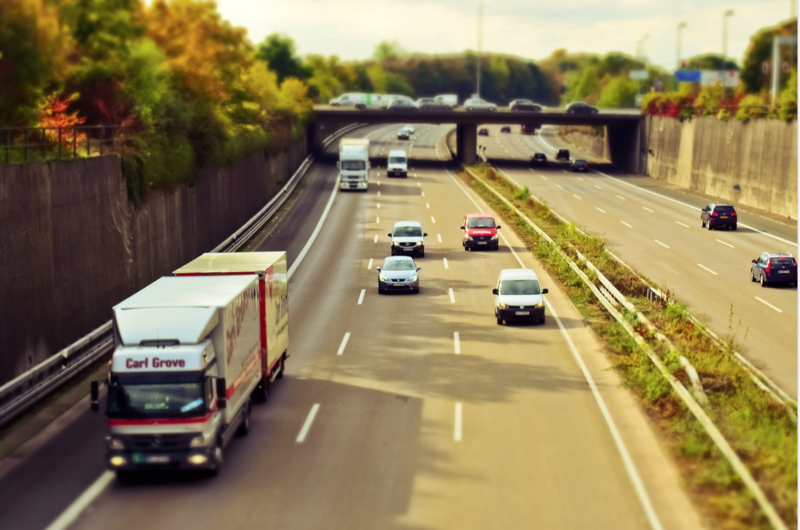 Typically, those who struggle with driving anxiety can drive semi-comfortably on side streets, but can't bring themselves to get on the freeway or highway. However, it's important to note that their avoidance of getting on is often based on a perceived difficulty getting off the freeway while driving and anxious. Even more specifically, anxiety while in traffic on the higway or freeway can lead to feeling trapped, which only adds to the fear of not being able to get off when needed or desired. 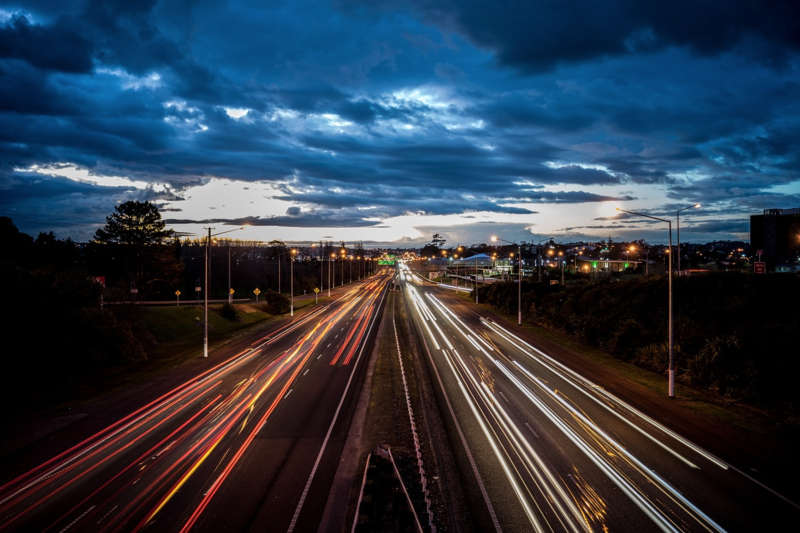 On the opposite end of traffic anxiety on the highway or freeway is fear of fast speeds. As mentioned, for those with driving anxiety, local streets often tend to be easier. One reason, though arguable, is that those who fear driving feel like they're more in control. Specifically, they feel they can pull over mroe easily, they can escape more easily and generally can choose their direction. However, on the highway, freeway, or interstate, with everyone speeding in the same direction, they usually feel their options are limited at best. At worst, they feel totally out of control which can encourage a fear of losing control in the form of a car crash. Another common highway driving anxiety focus tends to be fear of panicking on the freeway or highway. The origin of this fear is simply based on the experience of having had panic attacks while driving on freeways or highways. Adding insult to injury, they tell themselves that having a panic attack on the highway is dangerous and potentially life threatening. Hence, one major concern for those who fear driving is how to calm a panic attack while driving on the highway. Unfortunately, the more one tries to control a panic attack, the worse driving anxiety gets - leading to more frustration and helplessness. And avoidance of driving on the highway and freeway! 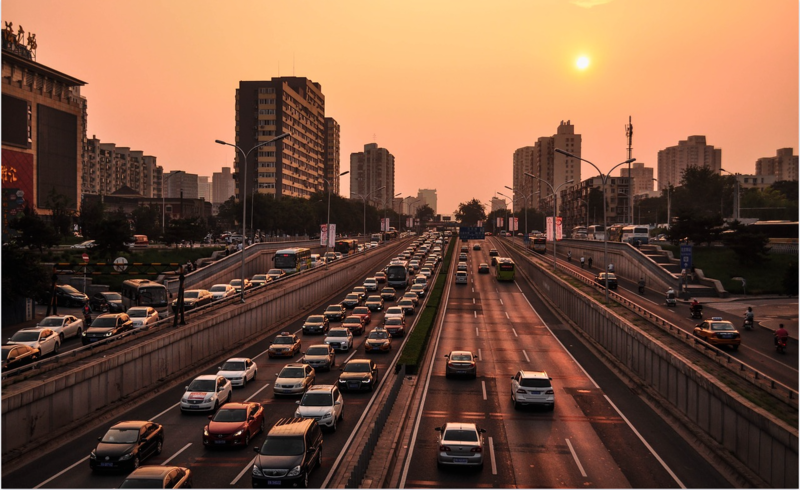 Although freeways and highways have been spoken about somewhat interchangeably so far, most with driving anxiety tend to feel there is a bit of a difference. Freeways, like the ones in Los Angeles, are created for high speeds and are separated from other cars driving in opposite directions. They can include overpasses and underpasses. 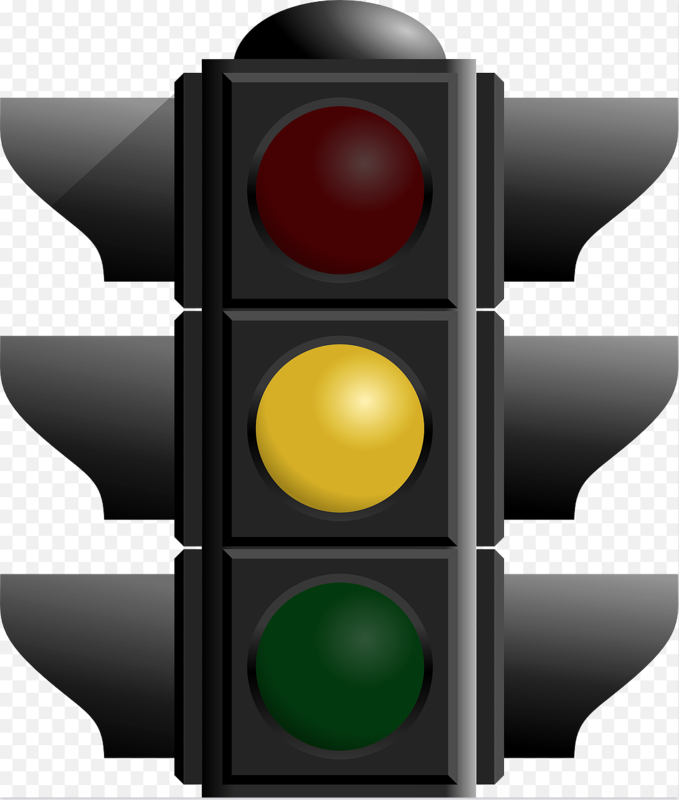 Freeways do not include traffic lights, intersections, crosswalks or other streets. Also, to enter and exit a freeway, a ramp is the only option. Highways, on the other hand, although they may have long areas without intersections, do include traffic signals and slower or changing speed limits. And you'll probably pass businesses, schools and pedestrians! All of this highway driving anxiety often leads one to frequently say to themselves, "I hate driving". Meanwhile, fearing something and hating something are two different things. (*See "I hate driving" and other excuses people tell themselves below) Overcoming fear of driving on highways and freeways allows one to free themselves from negative, false perspectives on driving and adopt a more reality based perspective. Following successful fear of driving treatment, although this new accurate viewpoint might include dislike of traffic, crazy drivers and certain roads or freeways, it will not include fear! How does one get rid of a freeway driving phobia and fear of driving highways? Seeking treatment from a qualified anxiety specialist is the key. The only proven method for treating freeway driving anxiety and highway driving fear is cognitive-behavioral therapy. A licensed anxiety doctor can teach you tools and provide strategies, so that you may begin to reduce your fear of driving on the highway. In addition, the anxiety treatment specialist will gradually expose you to what you fear, plus help you manage panic and anxiety. Help for fear of driving is here! Learn how to overcome fear of driving on highways now and leave anxiety in the dust! 3.) Scheduled Phone Sessions - For those who live a far distance from The April Center or currently feel unable to drive to the office. 4.) Fear of driving exposure sessions with Dr. April in the car helping you cope while coaching you as you gradually face your fear. *Don't waste more time struggling and letting driving fear control your life. Help is here! Contact us now at 310-429-1024. Ultimately, you’ll save time and money. And, most importantly, you'll learn how to overcome your driving anxiety! It's time to break free! 1. The speed of other drivers. Fear can be triggered when the end of the on ramp arrives and you’re now merging and expected to drive at the same speed others are driving. 2. The size of the gap between cars that you must find a place to enter. Fear can rise when searching for a safe and comfortable spot to enter between cars. You might question whether the space between cars is large enough for you to enter without cutting them off and without hitting them or them hitting you. 3. Switching and adapting to another freeway. Fear can be felt when you must change freeways after finding comfort on the freeway you’ve been driving. Also, anxiety can rise because you must pay attention to the correct freeway lane in which to make the transfer, while at the same time, you’re focusing on driving at an appropriate speed. 4. Aggressive drivers. 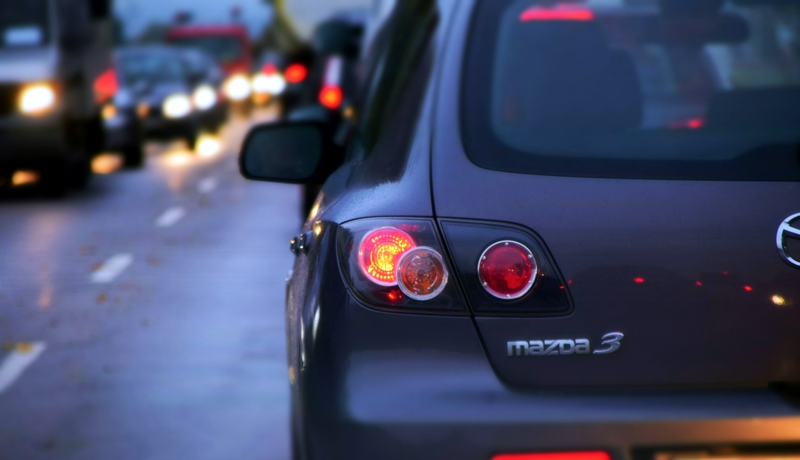 Sometimes drivers speed up to avoid getting stuck behind a slower merging driver. This can be challenging for those afraid of driving to properly gage when to merge, due to fear of not finding enough space or any at all. 5. Waiting too long. Anxiety can be triggered when merging is difficult, due to traffic or the speed of other drivers. It can also be a struggle when approaching the end of the lane where one is able to get on the freeway. 6. The mood of other drivers. Some people with driving fear become anxious when other drivers wave them into a lane or, conversely, when other drivers are angry or unhappy with their performance and show it in ways that we’re all unfortunately familiar! Call our Los Angeles office NOW to schedule your appointment today! Learning how to get over fear of driving is not as hard as you think! *You can do this! You can overcome anxiety and fear! Driving anxiety is not a personal issue, though many unfortuately start to build their identity around it. Like all anxiety issues and and anxiety disorders, driving phobia is more of a brain issue than anything else. Check out the causes of fear of driving below. What Causes Fear of Driving to Develop? It's important to think of fear of driving as similar to any other phobia - especially when it comes to its creation. Phobias develop for many reasons. Often times, one develops a phobia following an uncomfortable situation or even just an uncomfortable thought. Then, all that is required, is for one to avoid the situation based on that discomfort. The more you avoid, the more the anxiety about the feared experience increases. Thus, avoidance is counterproductive. But, avoidance is also seductive. Avoiding that which makes us uncomfortable feels better in the moment. We are then inclined to keep turning to avoidance to feel safe. Therein lies the problem. When it comes to phobia creation, unfortunately, this negative avoidance cycle is what trains our brain to fear. To put it simply, this cycle creates a neural pathway that encourages the brain to surge your system with adrenaline whenever you approach this feared experience. So, through avoidance, you unintentionally teach your brain that this experience is dangerous. Your brain is now trying to protect you from the fear by making you uncomfortable whenever you approach the feared situation or stimulus. You might even become anxious when you just think about it! You can now see how detrimental it is to avoid that which you fear. Let's put it in the context of your fear of driving. For example, because you have avoided driving on the freeway time and time again, your brain now floods your system with adrenaline (you label these sensations anxiety, which is another conditioned response). And the more you label these adrenaline sensations as "uncomfortable", "wrong", "bad" or "anxiety", the more you tend to fight them. This often then leads to a panic attack and further anxiety attacks down the road, so to speak. So, to avoid these scary sensations and panic, you continue to avoid the freeway. It's a vicious cycle. It's also another reason why anxiety therapy for fear of driving should be conducted by a specialized anxiety treatment doctor. Treatment that requires the changing of neural pathways to resolve anxiety cannot succcessfully be conducted by an unlicensed novice or even a traditional talk therapist. This treatment should only be conducted by a licensed psychologist or therapist trained specifically in treating anxiety disorders with CBT and exposure methods. To clarify, a main goal of cbt treatment for driving anxiety (and all other forms of anxiety for that matter) is to create a new neural pathway based on reducing and extinguishing or removing your brain's learned driving fear response. In other words, cbt helps you unlearn the negative pattern and teaches your brain to stop mistakenly protecting you with surges of adrenaline, which you most likely name or call anxiety. This anxious response is known as the classic fight or flight survival mode, unnecessary in regular driving conditions. CBT for driving anxiety is focused on the here and now, while addressing Behavioral and Cognitive changes to resolve fear. 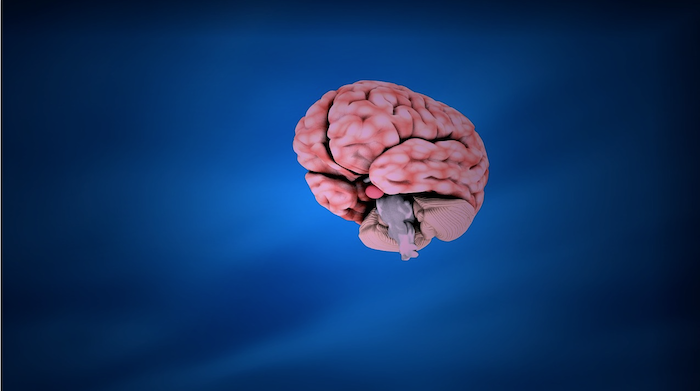 When it comes to driving fear and anxiety, changing your behaviors retrains your brain. Meanwhile, shifting your perspective to a healthier, more reality-based one, rather than one that falsely encourages anxiety, is the cognitive side of therapy designed to solidify long lasting change. 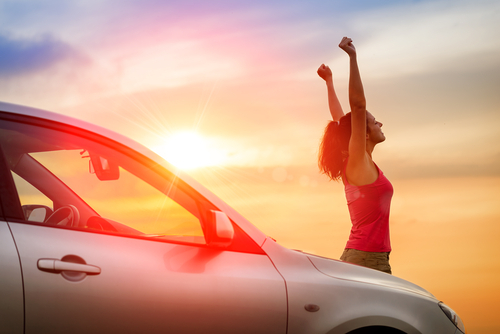 So, start believing that you can overcome driving anxiety. And remind yourself that there is nothing to be ashamed of, to feel inferior over or less than. This is simply a brain issue. Further proof of this neurological phenomenon should be your experience of telling yourself over and over that there is nothing to be afraid of. That this is irrational. That people of all ages drive easily and confidently and so should you. And yet . . . no matter what you tell yourself . . . you still get anxious driving! This frequent anxious pattern proves that it's a brain glitch or trick and not you! Thankfully, there is fear of driving treatment that works! Learn how to get rid of driving fear now and leave anxiety behind! When people struggle with anxiety, they come up with all sorts of excuses to avoid what they fear. One of the most frequent excuses is to tell yourself that you don't like an activity, situation, environment or experience and that is why you're choosing to avoid it. Of course, many anxiety sufferers know deep down they're not being honest with themselves or others. Here are the most common excuses and false beliefs those with fear of driving try to convince themselves of, in order to continue their driving avoidance. This is the most popular excuse because it is broad and encompasses lots of irritations and grievances with driving. But, when asked if this was always the case, most will acknowlege that it was not. In fact, before they developed their driving phobia, many even remember a time when they actually enjoyed driving, the road and being in their car! 2. I hate other drivers or the way people drive in this city. Sure, other drivers can be aggressive and even downright reckless. And as the philosopher Jean Paul Sartre once said, "Hell is other people." But typically, living involves being around people as they're doing the same - living! In fact, dealing with other drivers is part of the experience of driving. Don't avoid the experience. Everybody who drives has to deal with other drivers, too. And remember, other drivers have to deal with you! So, don't use this excuse. By the way, focusing on your own driving can be the best defense. Traffic is another part of the driving experience and one most of us in cities have to deal with as a necessary evil. However, your reason for traffic anxiety might have more to do with Agoraphobia. Some who fear driving in traffic are Agoraphobic and even struggle with Panic Disorder. When in traffic at a stoplight or on the highway, their main fear tends to be of feeling trapped with no easy escape. This is a very specific issue your licensed anxiety and driving fear treatment expert would diagnose during evaluation. 4. Driving is a waste of time. I'd rather take the bus, train or subway. Or let my spouse, boyfriend or girlfriend drive me. I get so much done. Many with a driving phobia convince themselves of this excuse when, in reality, it's avoidant to the core. By the way, there is nothing wrong with taking the bus, train or subway. And it can be nice to get a ride from your wife, husband, boyfriend or girlfriend. But these options are for those that aren't afraid to drive. For those scared to drive, the danger in getting comfortable with this avoidance is that it takes you further away from getting in the car, driving highways and facing all other fears associated with getting back on the road. And remember, every time you avoid, you encourage and reinforce more fear! 5. Driving is far too dangerous. I don't want to get into a car accident. Sure, driving has its dangers. We all face them when we get on the road. But of all possible dangers, car accidents are the one all drivers are at risk for. While it's true some people develop a fear of driving after being in a car accident, more frequently, those with driving anxiety have not had a bad car accident, but are simply afraid they will. This then becomes a battle with a driving obsession, also known as an inability to stop fearful, anxiety producing thoughts. But, no matter the origin of driving phobia, the perspective of those who fear driving has reached irrational proportions. People who struggle with anxiety about getting into an auto accident, tend to focus on aspects of the road or driving environment that are not often fraught with constant destruction and are, simply, just part of driving. This includes speed limits on the highway, traffic, left turn signals, passengers, other drivers and more. Of course, no one wants to get into a car accident and, if it happens, the consequences can be severe. This is why many can develop panic attacks after a car accident and consistently fear having another. This can lead them to avoid driving highways or, even worse, to stop driving altogether. It's a shame for many reasons when that occurs. The anxious driver, obsessing about a potential car accident, has often lost a sense of their driving skills (ironically, they can be quite good). They also often distrust other drivers to such an extreme, that it creates suffering and loss of freedom to drive comfortably on the road. For those that fear being in a car accident, part of the driving anxiety therapy must focus on building trust in themselves, accepting the realities of the road, and shifting false beliefs and negative perspectives. 6. I love working from home. 8. I love my home and neighborhood. It's got all I need. 9. I find driving too stressful. Yes, driving can be stressful due to the number of factors we must pay attention to and the focus it requires to drive safely. For beginning drivers, this driving stress is overcome with practice and time on streets, highways and freeways. But this excuse, when used to avoid driving, carries with it an irrational belief that you need to be relaxed when in the driver's seat. Lots of people with driving anxiety seek methods on how to relax while driving. This is a mistake. The more one tries to relax while driving, the more anxious or nervous they will feel. This is the nature of anxiety. If you try to fight it, it will persist and increase. This is why anxiety specialists, like us, focus our methods on how to help those face anxiety gradually, in order to reduce it and regain confidence in driving. People's natural instincts are to fight anxiety, which paradoxically gets them into more trouble and worsens their driving anxiety symptoms. To overcome fear of driving, one must face their fears and drive with anxiety while practicing CBT strategies and exercises designed to beat it! This is the only proven way out of the driving fear door! Reducing and fixing your fear of driving or getting rid of a driving phobia is not as difficult as you might imagine! You just need the right help! Call us NOW at 310-429-1024 to schedule your phone or in person session today. Fear of bridges is a common driving anxiety issue that can wreak havoc on those living in cities where driving over a bridge is required to get to certain needed areas. For those with fear of driving over bridges, when a bridge is part of their drive to work, it can interfere with their livelihood. Bridge phobia often involves different fears for those that struggle with it. Still, these fears tend to be similar to those commonly seen in those afraid to drive. For example, many with a bridge phobia tend to fear getting stuck in traffic on a bridge. As mentioned, traffic anxiety often suggests agoraphobia. Bridges tend to give a driver a more enclosed feeling, which can exacerbate this fear of being trapped even further. For others, crossing a bridge in general, in traffic or no traffic, leads to intense anxiety. - Panic attacks while on a bridge or when approaching a bridge while driving. However, often times, the mere thought of an aniticipated drive over a bridge can lead to panic. And sometimes, even random thoughts of crossing a bridge can lead to severe anxiety. - Avoidance of bridges. Bridge phobia almost always leads one to avoid driving over bridges, which can really interfere with one's daily activities and life. It can also be embarrassing. Most with this fear expend energy trying to hide it from others, while avoiding plans that involve crossing a bridge. Driving long distances out of the way just to avoid a bridge is also symptomatic. - For those with fear of heights, being a driver or passenger while driving on a bridge can create anxiety, too. - Some afraid to drive over bridges can fear that the bridge will collapse. Some are even afraid of falling off the bridge. This tends to be a different type of phobia, as opposed to just fear of driving. We sometimes live our lives afraid of how certain events might devastate us if they should ever happen. Being in a car accident could change our lives completely and turn things around for the worst. People who have been in a car wreck can not only suffer physical injuries, but also serious psychological consequences. For many people the experience results in fear, worry, post-traumatic stress disorder and serious car accident anxiety. 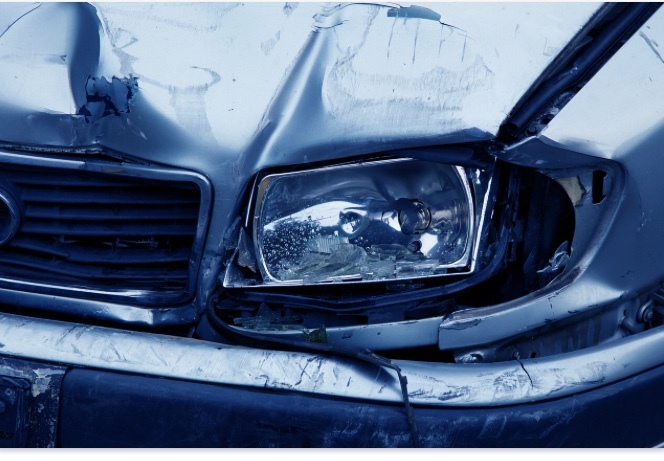 What Can Happen After a Car Accident? During an accident, so many events take place within our body. There is the excess production of the adrenaline hormones, which help agitate us to take action, to either defend ourselves or flee (fight or flight). Such hormonal effects can, unfortunately, be triggered when driving following a car accident or even a potential brush with one. This can lead to panic attacks and driving anxiety with a specific fear of causing a car accident or being the victim of one. Following a car accident, there can also be the fear of injuries, especially internal injuries, of which you may not know immediately until after a medical examination. Waiting for such unpredictable medical outcomes also adds to one's stress level and can increase fear. Additionally, many drivers experience emotional effects including shock, denial, disbelief, worry, agitation, self-blame, guilt, worry, and fear, all of which can increase the rate of anxiety after having a car accident. This is even worse if the driver thinks the accident is their fault or could have been avoided. The entire experience can be devastating, which is why victims or those with anxiety over causing a car accident need to seek help from an anxiety treatment specialist to assist them in understanding what is happening to them. And to resolve it! Car crash anxiety can be costly in your daily life for many reasons. You may be out of work, experiencing reduced productivity, or even lack concentration. You need to focus on the bigger picture and realize what you will gain when you eventually overcome your fears. And what you'll lose if you don't! Anxiety treatment for fear of driving is an investment in yourself and your life. Getting involved in an accident can have a serious impact on your mind and body. Your body may heal in a short time, but your mind might require attention to deal with the psychological consequences leading to unhealthy cognitive behavioral choices related to driving. Seeking help and expert therapy at our anxiety clinic will open several doors of opportunity for you to heal. You will be attended to by our driving anxiety treatment professionals who will treat you in our warm office environment to transform your experience and get you back on the road with comfort, success and freedom! Anxiety while riding in a car can be common. Fear of being a car passenger is exactly as it sounds. It is defined as a pattern of someone afraid of being a passenger; either in a car, bus, or any other mode of transportation. People with car passenger anxiety (Amaxophobia) often feel out of control in these situations. Trouble starts when they have to sit in a vehicle as a passenger; triggering their passenger driving anxiety. What Causes Anxiety in a Car as a Passenger? This fear can be caused by any uncomfortable experience in a car as a passenger at any time. Afterwards, if one begins avoiding being a car passenger, a phobia can quickly develop. That said, car passenger fear can also be created by previous traumatic experience or lack of social exposure. People respond to the aftermath of car accidents in various ways. While most people just get over it and continue with their lives, others end up developing a phobia that causes anxiety while driving as a passenger. These people become afraid and start exhibiting panic attacks that can be very uncomfortable for them and the people around them. Fear of driving as a passenger affects people of any age group including children, teens, adolescents, and adults. Driving in a car can trigger a panic attack in such people, so much that it makes them feel terrified. When they read accounts of a car accident in a newspaper, watch an accident on TV or in a movie, they can also be triggered. Seeing images of people in an accident can also affect such individuals. Another potential issue that can encourage anxiety in a car as a passenger is lack of social exposure. This has to do with people who are not exposed much to a social life or don’t go out often. Such people may also express these anxiety symptoms when they find themselves riding in a vehicle. When people with anxiety as a car passenger avoid the experience, these symptoms and their condition gets worse. The fear of being a car passenger is treated with cognitive behavioral therapy. During treatment at The April Center for Anxiety, we focus on changing perspectives that create fear, while gradually approaching fears that need to be faced with our strategies and techniques during homework assignments. Car passenger anxiety is a condition that needs to be taken seriously to help individuals overcome their fears and move forward to freedom. Follow this link to check out our new infographic called "The Anxiety Cycle On A Bicycle" for an illustration on the development of a phobia, anxiety disorder or fear. Follow this link for more on Cognitive-Behavioral Therapy. Follow this link to take a look at our post on the most common ways in which a fear of driving can develop. The information on this website in no way substitutes for or represents any form of treatment for psychological, emotional, behavioral and physical syndromes or disorders. Appropriate licensed professionals must directly evaluate, diagnose and treat symptoms of physical or mental health conditions. Call us to inquire about our services! The April Center For Anxiety Attack Management gave me the tools to change my life! As long as I can remember I had suffered from anxiety and panic attacks. I was in and out of therapy for 20+ years. The world had become a scary place, and it kept shrinking. I didn’t understand what was happening internally until I saw the show Obsessed. It clicked, and I saw a new treatment that could maybe make a difference. I did research and learned that not only was there a term for my phobia, but it was way more common than I could imagine. I started individual therapy at The April Center. We took everything slowly, going at my own pace, but the more I did, the better I felt, and the more I wanted to do. Thanks to Dr. April and The April Center, I was completely present at my wedding, which is the best gift ever! Now I am outside of my head, and enjoying things as I should! If you don't mind, please pass this information along to your staff psychologist. She has been incredible over the past couple of sessions; insightful, informative, and has assisted me well. When I began, my driving anxiety left me frozen and avoiding the road, but with her help, it is significantly better, even in this short amount of time. I credit that to The April Center for Anxiety’s guidance. I continue to ride out the momentum of my progress and the anxiety is nearly non-existent. Many thanks to you and your staff therapist. Your services are invaluable and I'm better because of them! I’ve suffered with different anxiety symptoms since a young age; panic attacks in certain situations, excessive worry and generalized anxiety caused by stress. I have been to many different therapists; however, Dr. April and his techniques has been the only method that has truly improved my anxiety. When I first called Dr. April last May, I had excessive worry/obsession about losing loved ones as well as driving anxiety. After focusing on the issues and using “exposure therapy”, I set upon a difficult, yet very rewarding journey. After various assignments of exposure, my excessive worry is virtually gone. As I continue to work on my driving anxiety, the exposure exercises I have done thus far have immensely reduced the feelings of panic I feel when I am driving and I know that if I am persistent and follow Dr. April’s lead, I will be able to kick this fear too! Dr. April offers the type of help unlike any professional I’ve been to. He has a very diverse and expertise knowledge and understanding of anxiety and is aware of all the successful methods to help reduce it. He really takes the time to focus on your individual needs and sets attainable goals that move you in the direction to reach your ultimate goal. His compassion and encouragement can help even the most timid of people gain confidence to face their fears and begin their journey to change!